Stumbled upon an interesting house on my way to lunch. 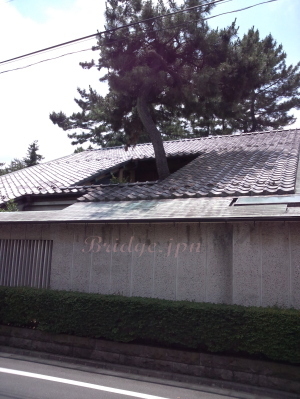 An intentional squarish roof was cut to make way for the outgrown tree, which already had part of its body protruding out. Apparently, this house has a courtyard. the dappled sunlight that shined through, all takes place in this one courtyard. Having a courtyard is just so awesome! The presence of this tree must have a great significant to this family. A plain and ordinary tree, that holds many wonderful memories of the past and is no doubt going to hold many more beautiful memories in the years that comes.